Where on earth to begin…. 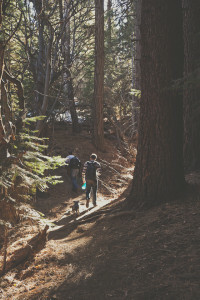 When I left The Biggest Little City for the Pacific Northwest, I left behind some really amazing photographers who also happened to be friends. Some, I had known for a few years, some I had just met. I file Colin under those I just met, however that didn’t stop us from hitting it off from the get go like old pals. 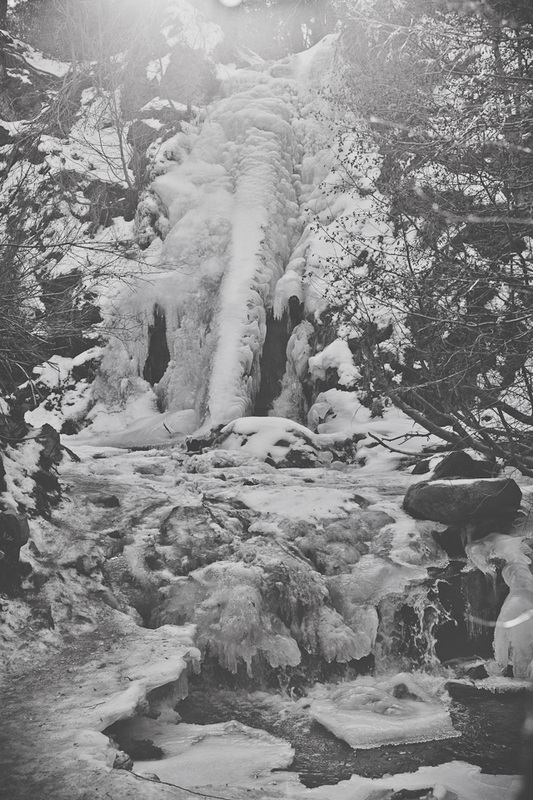 Our first adventure was a group hike to frozen waterfalls. 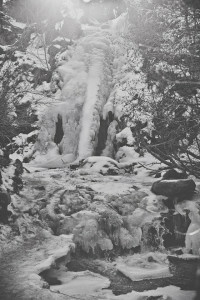 The hike included slippery sliding on frozen mud and a “high ten” from Colin when he final found the elusive frozen falls and came rushing back to tell all of us. Let’s just say, he wasn’t the first or the last to land on his backside, (ahem) but his fall received ten points from the judges. Silly moments aside, Colin is a huge inspiration. He is one of the sweetest darn guys you have ever met, super funny, and has mad skills behind the lens. His conceptual work always gets me. His ability to bring thoughts from imagination to reality are awesome. After he posted about his latest shoot involving water, (this month’s theme) I asked him if he would like to share more about his work and himself. Lucky for us, he said yes. You seem to be constantly pushing yourself to try new things when it comes to your work. What has been your favorite photo shoot so far? My favorite portrait session this year is the one that fits this month’s theme of water. I drove three hours to the Black Rock Desert (located 110 miles north of Reno, Nevada) with three models (who did their own hair, makeup and styling) and we used the hot springs just east of the playa. 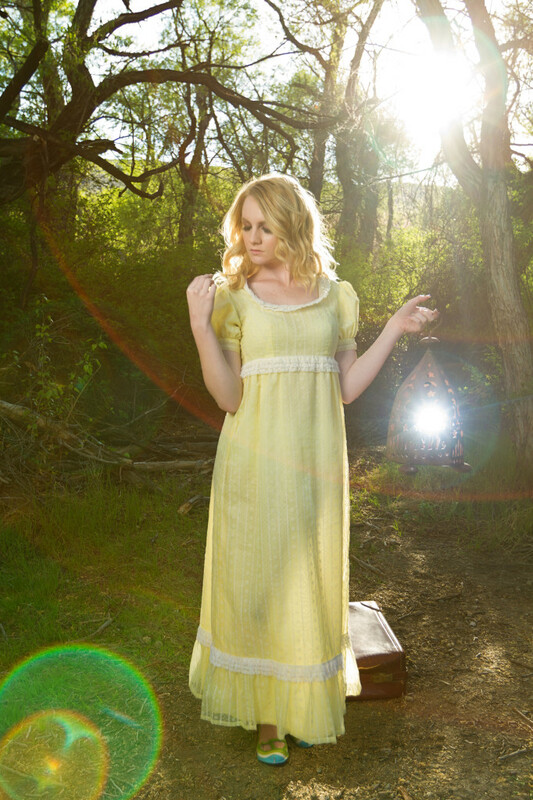 We were hoping to create something ethereal using water as a backdrop for our session. I think we nailed it! I am always a little jealous of your creative shoots. Can you share a little about how you come up with the ideas; how you gather the people to participate, and how do you find the locations? I love creative sessions because they allow me to be more artistic and experiment more than a typical portrait session normally allow. Being able to have an idea and bring it to life while collaborating with different people is one of the most fulfilling things I’ve done with my photography. My favorite creative shoot has to be the one I did at the end of April this year. I had an image in my head of what I wanted and it took about a month for everything to come together. I needed an eerie location with lots of greenery and character, a suitcase, a shovel, a fog machine, a flowy dress, a model, an assistant and a hair and makeup artist. If you’ve seen Fear and Loathing I feel exactly like Johnny Depp listing off everything he needed for his trip to Las Vegas. So I started collecting everything slowly. Tessa at The Nest in Reno helped me find the perfect dress and suitcase in her store. One of my photographer friends recommended a model. Another photographer volunteered to help me dig a four foot hole. Once I had the hole dug, I cut a hole in the bottom of the suitcase so my model could stand inside the hole in the ground with the suitcase placed on top. I placed the fog machine in the bottom of the hole hoping it would add more eeriness to the shoot but the portable battery pack I brought wasn’t powerful enough to run it. In the end it didn’t matter. I stood the model in the hole, put the suitcase over her head and lined it up so it hid the hole and the rest is history. The shoot not only turned out exactly as I had planned in my head but it exceeded my expectations. Thanks again to everyone involved! Everything inspires me. Friends, family, nature, food, movies, music, Instagram, Pinterest, other creatives; the list goes on and on… I have at least one million ideas floating through my head at any given time. It’s probably the reason I forget to wear pants some days. 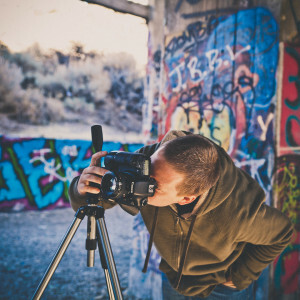 When did you know photography was more than a hobby? I knew photography was going to be my career the second I made my first dollar. I had been shooting for years and fell in love with being able to create something that’s never been seen or done before. No one’s ever going to take the same picture that you’ve taken. Sure people can use the same camera/lens/model/location/pose/lights but no one will ever duplicate your artistic vision, emotion, feel, etc. I loved going out with my camera experimenting, traveling, learning, growing and expressing myself through photography. The first time someone offered to pay me for taking their picture I was shocked. Someone wanted to pay me for doing something I loved? I hadn’t even considered making photography my career, but now I can’t imagine doing anything else. You are stranded on a desert island- what camera would you have to have with you? If I were stranded on a desert island I would definitely take my Polaroid camera. It has been and always will be my favorite camera. I love film. Its character, intricacies, imperfections and the ability to have instant gratification that will stand the test of time is one reason I’ll always have my Polaroid camera with me. Once you’re on an island and your DSLR camera battery dies you’ll have nothing to reflect on except memories. Besides, memories fade and aren’t always reliable. Holding the Polaroid in your hand makes it real. What is your dream venue/location for a photo shoot? My dream location is everywhere I’ve never been before. One of my lifelong goals is to shoot everywhere possible and I’m going to spend every waking second accomplishing that goal. On the agenda for the rest of 2014 are Los Angeles, San Diego, Utah and maybe Arizona. Is there a photographer (dead or alive) who you would love to have a conversation with? Why? I want to have a conversation with every photographer. If that breaks the rules of the question I apologize. It’s easier to ask for forgiveness than permission I’ve heard. I love meeting new people and hearing their experiences about photography. Why they do it, how they do it and what it brings to their life. That will not only help me grow as a photographer but also as a person. So, find me on Facebook , on Instagram @cnicphoto or my website . Drop me a message, I can’t wait to chat! Colin, Thank you again for taking time out of your schedule to chat with me about your work. You owe me a concept shoot when I come back to town. Until then, keep shooting and making awesome happen. 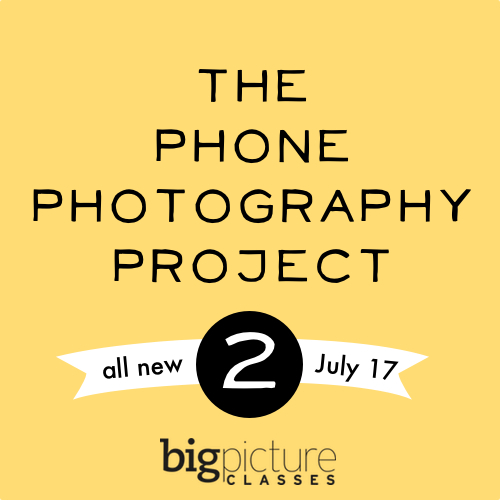 Thanks to everyone who commented to win a spot in The Phone Photography Project 2 over at Big Picture Classes where Holly is teaching this summer! A huge Congratulations to Jordan Parks who is our winner! Yay! You will be contacted with all the details for signing up. There’s still plenty of time to sign up and join in on the fun! Head over to Big Picture and sign up now! Colin, your work is pretty darn amazing. Thank you for sharing with all of us today!